"Our Barks are worth your bite." 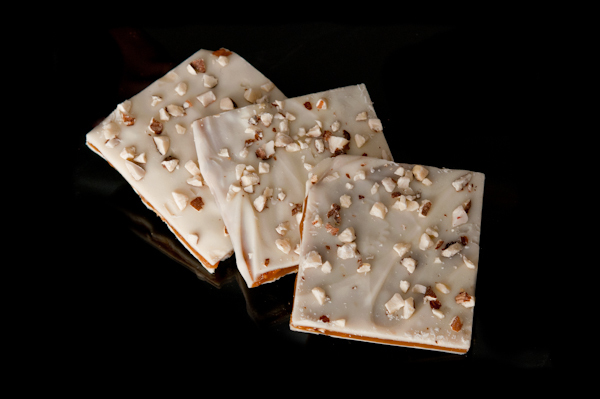 Each small batch is cooked in a copper kettle, covered with milk chocolate, and sprinkled with pecans, resulting in the delicate crunch and rich buttery flavor of our melt-in-your-mouth toffee. 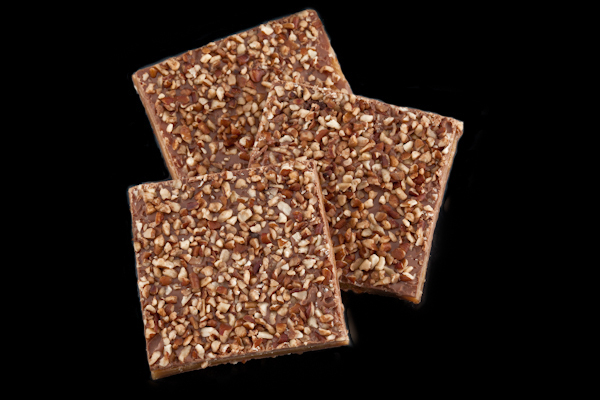 Mouth watering toffee blended with premium almonds for an ultimate crunch texture, and then blanketed with silky-smooth dark chocolate. 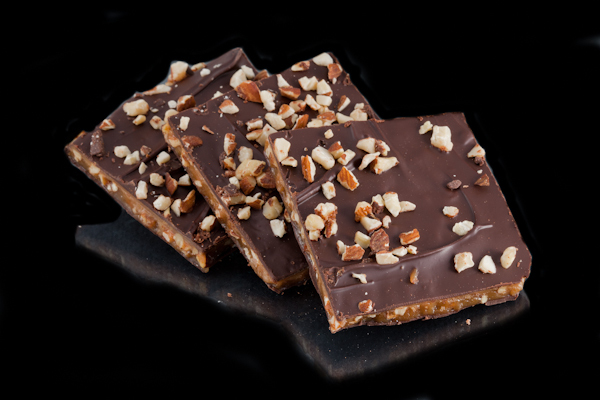 A delicious combination and a crowd pleaser too! 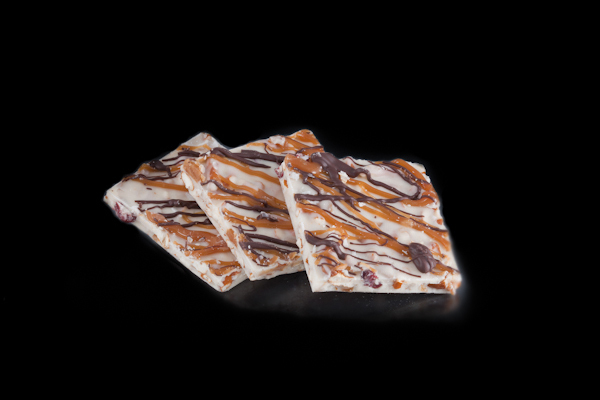 Our original recipe, featuring a unique harmony of white chocolate, cranberries, almond toffee bits, pretzels, light coconut - drizzled with caramel and dark chocolate. "A sweet and delicious treat! 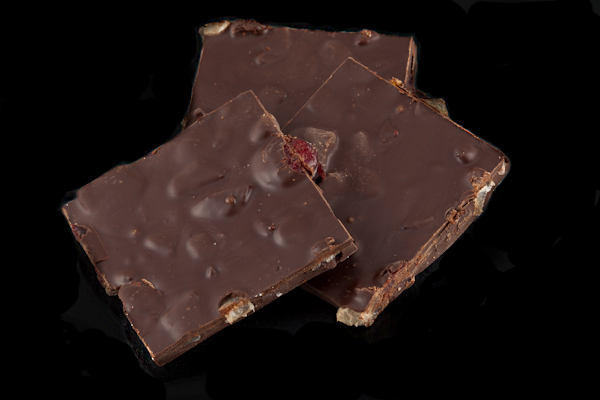 Bits of glace orange peel, cranberry, and pineapple are the perfect compliment to our smooth dark chocolate for an enjoyable taste experience. 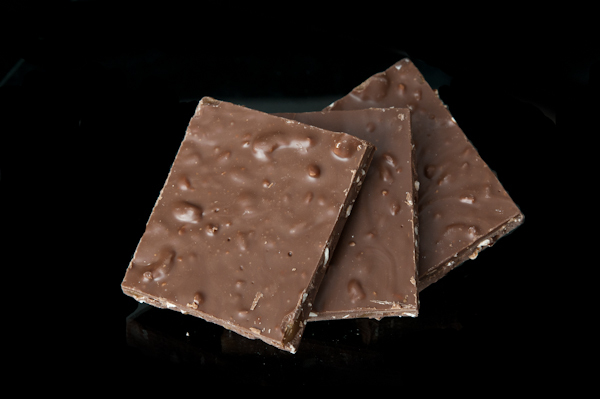 Sure to delight all chocolate lovers! 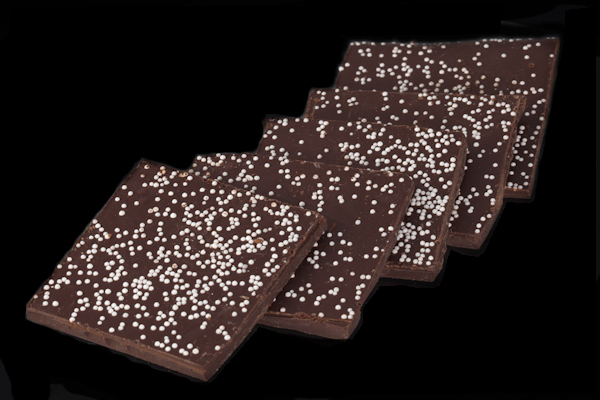 No one can resist our silky smooth semi-sweet chocolate, generously sprinkled with Nonpareils.